Rich tone and ‘growl’ in the low register. 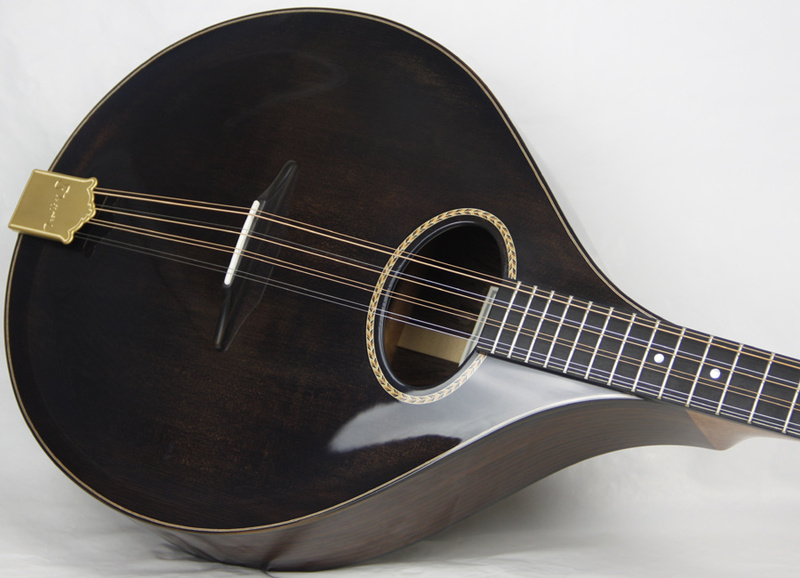 I built my first octave and bouzouki in 1990 and I have continued to refine my carved-top/flat back design over the years. 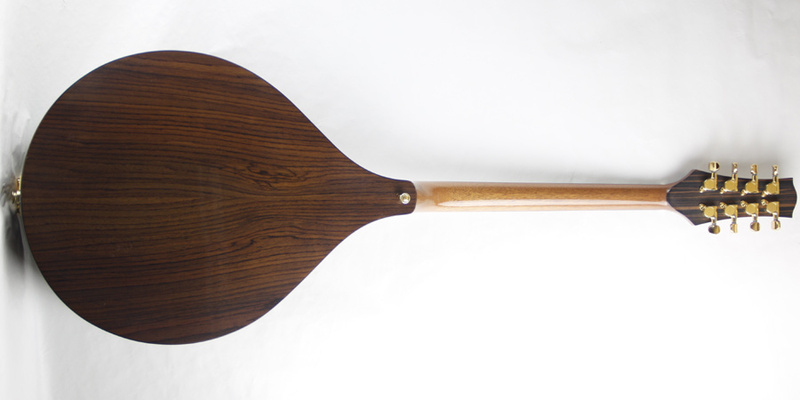 They are available in three body sizes , ranging from 33cm to 36cm in width, each giving a different tone, but all offering the characterisctic qualities of Indian rosewood. The combination of carved Engelmann spruce top with Indian rosewood back and sides really is a recipe for a sweet, rich and complex tone. Indian rosewood is a sonorous and visually beautiful tonewood that has traditionally been sought by luthiers. I use ebony binding around the top and back, or if you prefer the contrast of a lighter binding I can use bird’s eye maple. 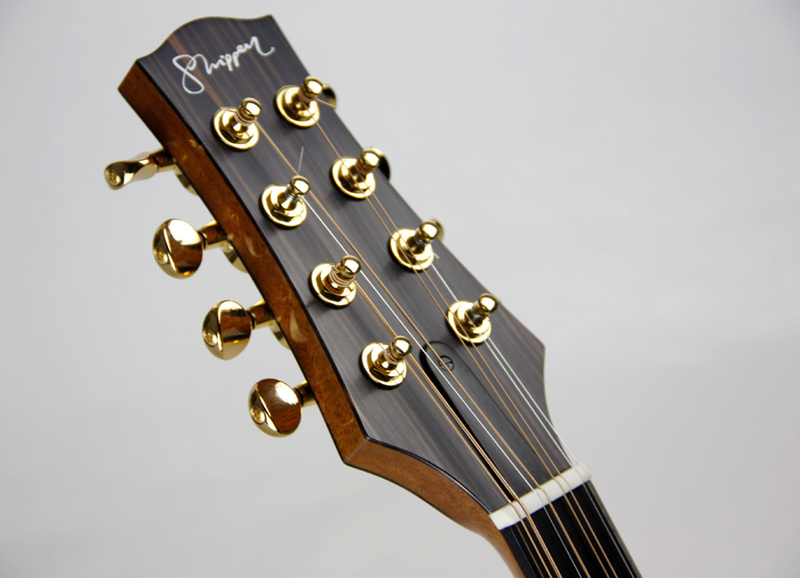 Brazilian Mahogany for the neck and ebony for the fingerboard complete the selection of fine woods. 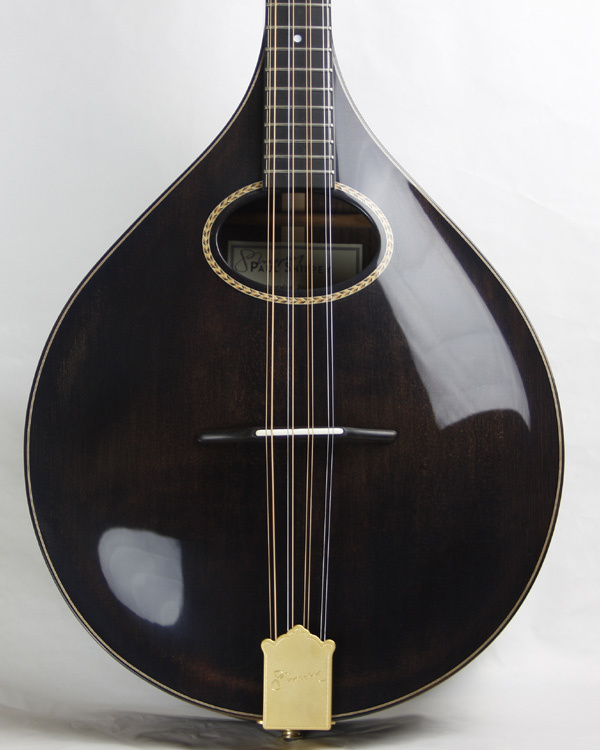 The Octave mandolin is usually tuned GDAE (low to high), one octave below the mandolin. 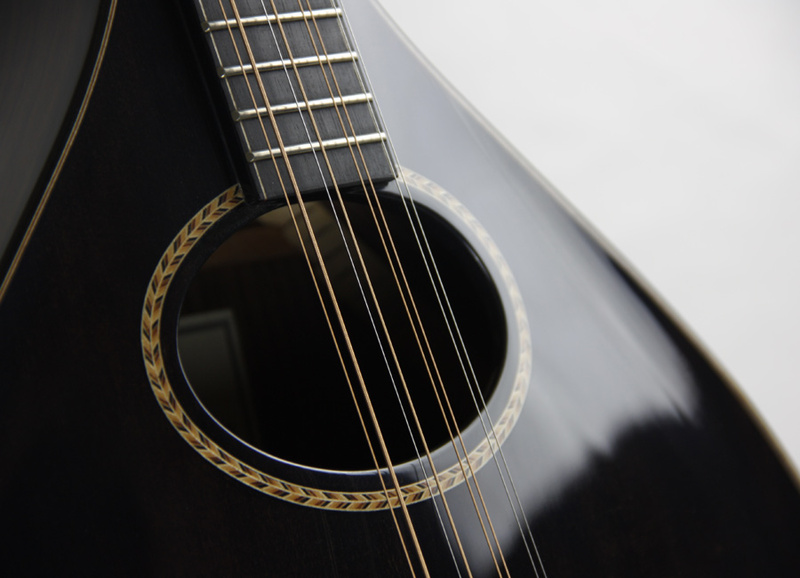 A scale length of 58cm allows mandolin or tenor banjo style melody playing to be adapted for the Octave ,but it is also a fine accompanists instrument with its full, resonant tone. 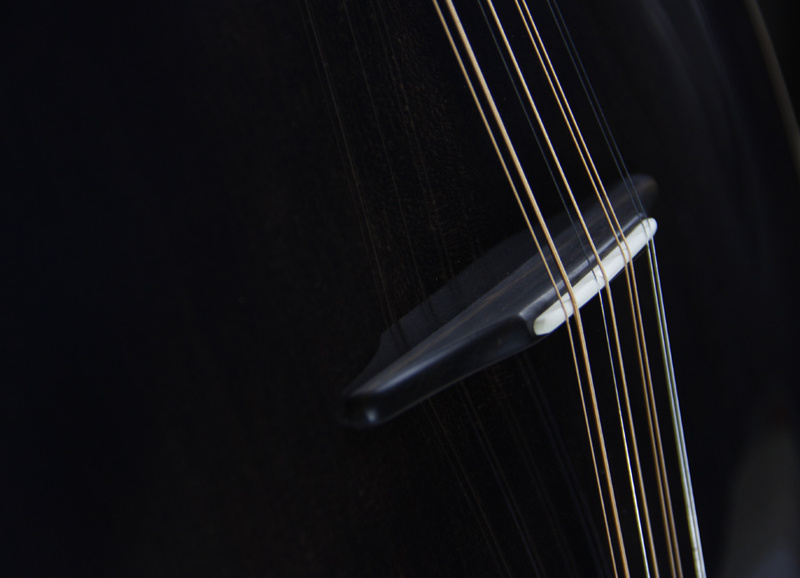 The 58cm scale is well suited to D’addario J80 strings (gauges: 12,22,32,46). I am happy to build with a custom scale length If you prefer something different. 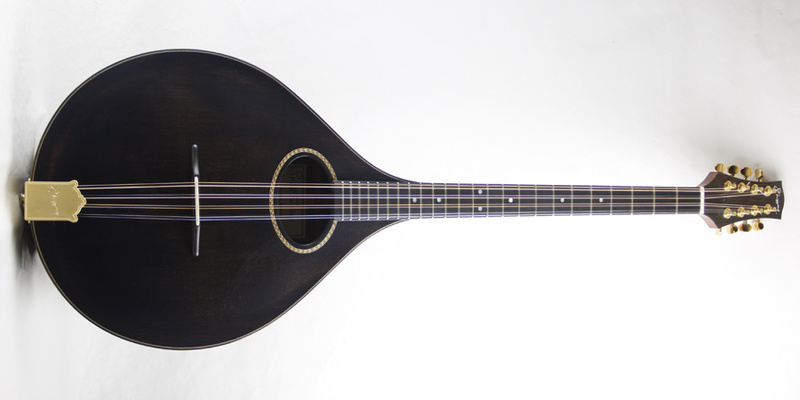 The bouzouki is often tuned GDAD (low to high) and my standard scale length is 65cm. I fit gold Gotoh, mini-enclosed tuners as standard. 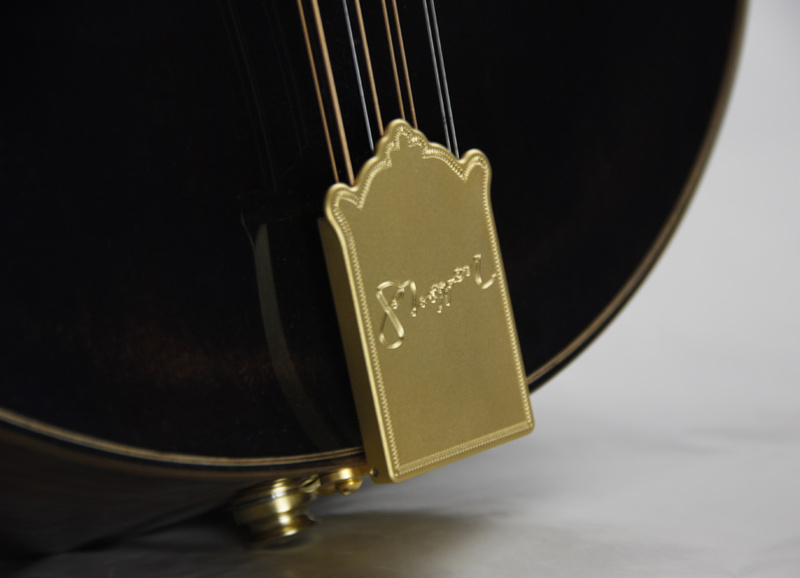 The cast bronze tailpiece is by Allen (USA). The top finish shown is my dark brown gloss, other finishes are optional. Ebony facing on front and back of head. Handmade ebony truss rod cover. 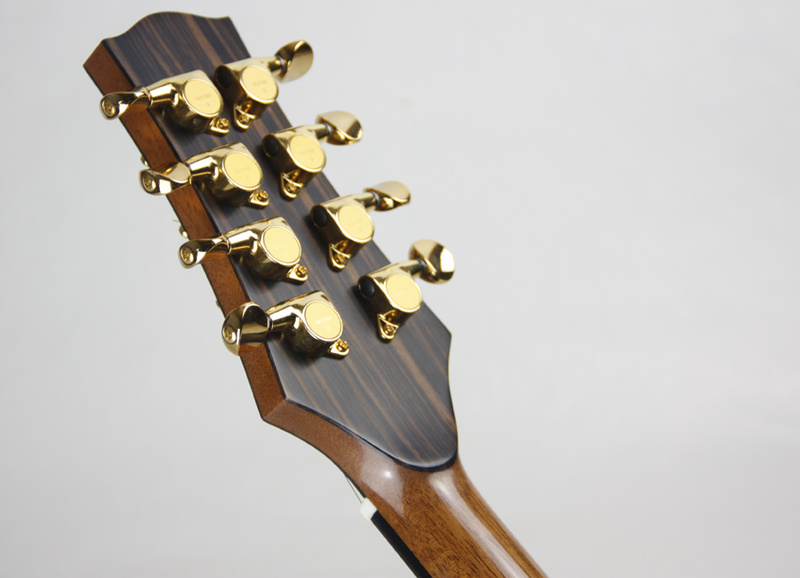 Gotoh mini gold enclosed tuners. Dark brown or natural (clear lacquer) top. Ebony or Birds’ eye maple bindings.